Indonesia’s geophysics agency said it has ended a tsunami warning that was triggered by a strong earthquake Friday east of Sulawesi island. The U.S. Geological Survey said the quake, which was centred at a depth of 17 kilometres, had a magnitude of 6.8. The tsunami warning was in effect for about 40 minutes. 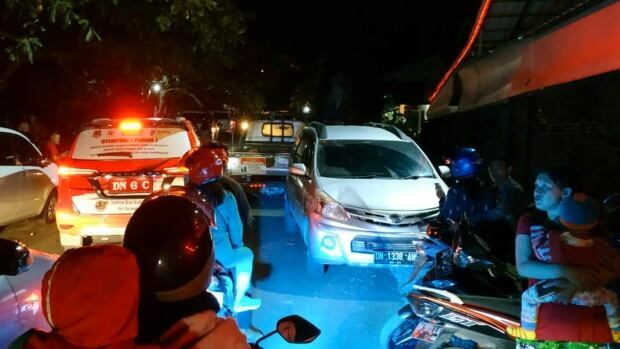 The epicentre of the quake was far from the central Sulawesi city of Palu, which was devastated by an earthquake and tsunami in September, but it was felt there and and people ran into the streets in panic. Disaster agency spokesperson Sutopo Purwo Nugroho said the quake was felt in different areas for four to six seconds. He said some eastern coastal areas and islands had ordered residents to go to higher ground. The latest earthquake comes amid an election campaign. Voters will head to the polls April 17.